Nothing is more rewarding to a cancer patient than hearing their disease is either in remission or is no longer detectable. 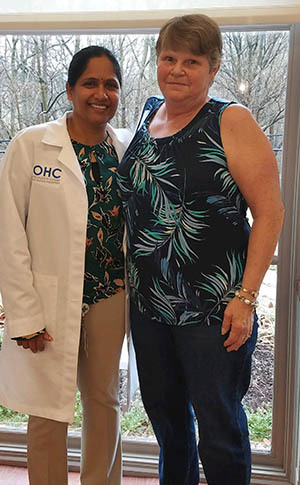 At OHC, our doctors routinely attack cancer with the newest approaches and treatments while constantly searching for the best solution to beat cancer so more patients can actually hear those words. National Doctor’s Day is an opportunity to acknowledge and thank doctors for their tireless dedication to seeking a cure for cancer, and for their devotion to caring for every patient like a family member. We would like to acknowledge the tireless efforts of our OHC doctors through the words of our patients and their families. Thank you for never giving in. When my husband was diagnosed with prostate cancer, his immediate reaction was, “No. I’m not doing any of that. No chemo. No radiation. None of it.” He was scared. He gave up before we even started because he saw other family members go through treatment and it scared him. Then he met Dr. Fried. First, Dr. Fried gave him a big hug. Then he showed him statistics about treatment and survival. He explained that everyone responds to treatment differently, and just because chemo made his dad sick, didn’t mean it would make him sick. He reassured my husband and won his trust. “I’ll be by your side every step of the way.” And he was. He wouldn’t give up when my husband was in doubt. 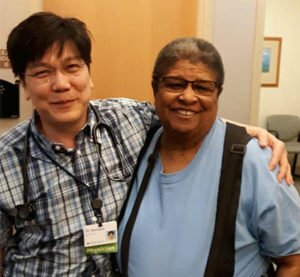 Every time Dr. Bo came into my mom’s hospital room, he put a smile on her face. That meant so much to our entire family. He gave all of us such wonderful care and support that it settled my heart and my worries. I am so grateful to Dr. Bo and the entire staff. Thank you for being a source of strength. ‘We found cancer.’ Three words you’re never prepared to hear. My world suddenly stopped. I didn’t know what to do. I couldn’t think. But Dr. Gubbi was right there for me. He was my guiding force. He answered every question my family and I had. He helped me pick the best treatment option. He thought of things that never crossed my mind. Through it all, he helped me stay focused and positive. Thank you for staying at the forefront of new treatments. Dr. Chua informed me about a promising clinical trial for lung cancer offered at OHC through its clinical research program. 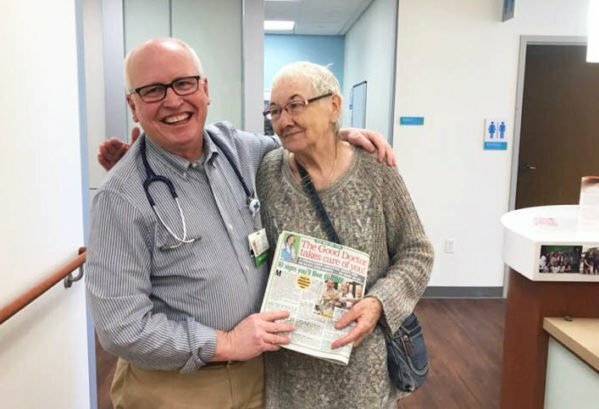 After a thorough evaluation, she told me I was eligible for enrollment and soon I started taking the trial drug Nivolumab. I decided I was going to be that guy – the one who does the normal stuff and even pushes myself some while fighting cancer. I am going to be a cancer survivor. I’m happy to say that was seven years ago, and I’m not only surviving, I’m thriving. I owe it all to Dr. Chua and the clinical trials program at OHC. Thanks to them, I’m still here. Thank you for leading our team. If you would like to acknowledge an OHC doctor or other OHC caregiver, please feel free to share your comments on this page or at ohcare.com. 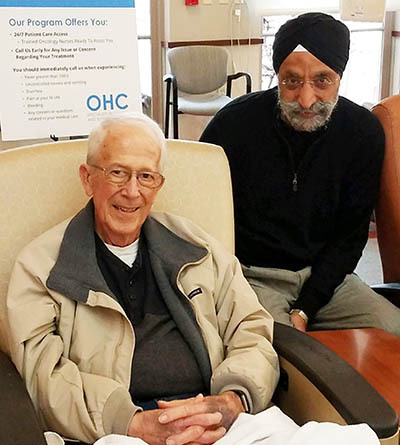 If you are currently an OHC patient, you can give them a note or tell them at your next visit about the little miracle they performed for you or your loved one. 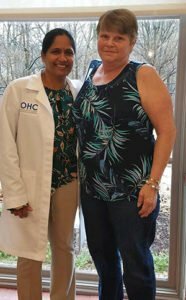 To learn more about OHC’s doctors, or if you need a second opinion, please visit this page or call 1-888-649-4800. Mark Johns, MD, Zaw Bo, MD, and Cynthia Chua, MD, are Medical Oncologists and Hematologists with OHC. Peter Fried, MD, and Jeff Grass, MD, are Radiation Oncologists with OHC. Ajit Gubbi, DO, is a Gynecologic Oncologist with OHC. Arleen Wuestefeld, MSN, is an Advanced Practice Provider with OHC.